Benefex’s chief people officer, Kathryn Kendall, tells us what it means to be a Living Wage employer. Kathryn has been at Benefex for just over two years and in that time has significantly developed our company culture (among a whole host of other things!) One of her chart-topping moments has been Benefex’s Living Wage Foundation accreditation. Not to be confused with the Government’s mandatory National Living Wage, the Living Wage is an hourly rate which is set independently and updated annually. Employers implement it voluntarily, and it accounts for the real cost of living, not just the minimum required to survive. Kathryn, tell us a bit about the company values at Benefex which led to the decision to pursue the Living Wage accreditation. At Benefex, we have always been very clear that our people are our most important resource. Without them, we don’t have a business. Given this, it’s only right that they are appropriately rewarded for the energy, drive and passion that they plough into our business every single day. Great people deliver great things, and deserve a great reward for doing so. 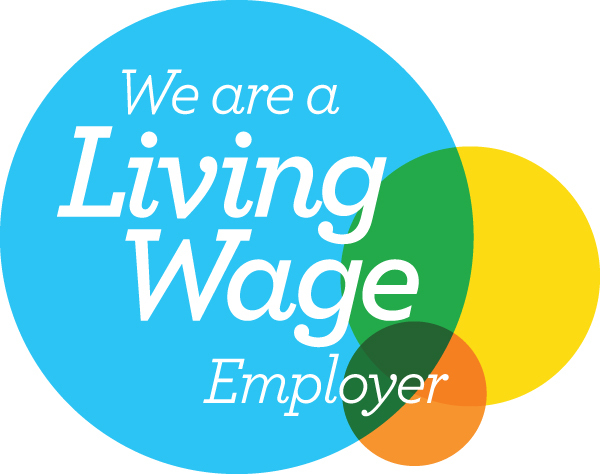 In your view, why is the Living Wage so important to an organisation’s employees? We know that financial worries are a huge distraction for employees. According to a PwC study, 37% of employees say they spend three hours or more thinking about or dealing with issues related to their personal finances while at work. The Living Wage is set at a rate that genuinely covers the cost of living for individuals, and should hugely ease these concerns for employees as a result. We talked to a number of our employees about the difference the Living Wage had made to them personally and I think the soundbites they gave us speak for themselves. You can see Jag, Maxine, Daniel and Corryn’s stories on Twitter. Following on from this, what are the benefits to an employer of introducing the Living Wage? I wrote a blog post recently about the top five reasons employers should, in my view, consider introducing the Living Wage. Increasing your talent pool, retaining your stars of the future, driving engagement; these should all be hugely compelling rationale for organisations. In addition to that, we’ve seen our employee turnover rate drop by almost 5% since the start of the year. I believe our accreditation as a Living Wage employer is a huge factor in that. How has the accreditation affected you as chief people officer, and your day-to-day role? It is not an exaggeration to say that it is genuinely one of my proudest moments in my career to date. I felt – and still feel – so strongly that it is just the right thing to do: to ensure the employees responsible for your organisational success are rewarded appropriately. When it comes to my day-to-day role, it has had a number of knock-on effects in that it has led to us reviewing our whole reward strategy and introducing a complementary salary banding framework. This should help to show our employees genuine career progression, particularly alongside the competency framework which will support it, and will ensure that we really are focused on developing and nurturing our stars of the future.